So what is this Ford Zodiac MK3 and other Z-cars you are talking about? The Mark I Ford Consul and Zephyr models were first displayed at the Earls Court Motor Show in 1950. Production began with the Consul on 1 January 1951. The Mark I model ran until 1956. From April 1956 the Mark II Consul, Zephyr and Zodiac went on sale and were known as the Three Graces. The Mark II range was popular and finished its run in 1962. In early 1962 Ford replaced the Consul/Zephyr/ Zodiac range with a dramatically restyled model although sharing some of its mechanical components, as well as the basic chassis design, with the Mark II models. Rather than continue the Consul name, Ford UK decided to call its replacement Zephyr 4, the 4 indicating that it still used the four-cylinder. The Zephyr Mark III shared some of its mechanical components, as well as the basic chassis design, with the Mark II, but had a stronger overall body construction. The exterior was designed by Canadian Roy Brown who also designed the Edsel and the Cortina, though the rear of the body was inspired by a design proposal by Frua. Unlike the Zephyr 4, the Zephyr 6 had a full-width grille including the headlight surrounds: overall body length and width were the same for both Zephyr III versions. The Zodiac was an upmarket version of the Zephyr 6, but differed considerably from that model by the limousine-type rear doors, sharper roofline (with narrower C-pillar) and tail, unique grille (four headlights instead of two), exclusive bumper bars, plusher seating, and up-market upholstery, dashboard and interior fittings. 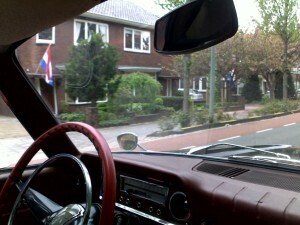 A choice of individual or bench front seat was available trimmed in leather or cloth. The front doors and bonnet panels were shared with the Zephyr 6. The Executive version had extra luxury fittings again. The 2553 cc single-carburettor six-cylinder engine was improved internally to increase the power output to 109 bhp and a new four-speed all synchromesh transmission with column change was fitted. The brakes, servo assisted, use discs at the front and drum at the rear. A Mk III saloon tested by the British The Motor magazine in 1962 had a top speed of 100.7 mph (162.1 km/h) and could accelerate from 0-60 mph (97 km/h) in 13.4 seconds. A touring fuel consumption of 22.6 miles per imperial gallon (12.5 L/100 km; 18.8 mpg-US) was recorded. The Mk III range was discontinued in January 1966 and the completely new Zephyr / Zodiac Mark IV range was released in April 1966. This car’s design anticipated the later Consul/Granada range with V-engines and independent rear suspension, but the development of the model was rushed and this reflected in its durability. 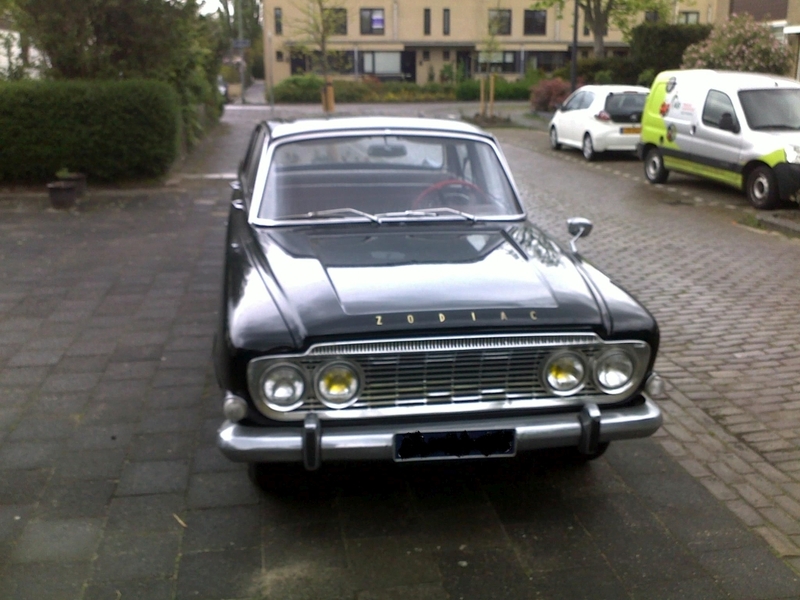 Ok…And why are you writing about the Ford Zodiac? Fast forward to 2002. My father was surfing the internet and found a 1964 Zodiac MKIII for sale! Only problem was that it was for sale in Paris, France and we live in the Netherlands. But Zodiacs are scare in the Netherlands (and in France) so he arranged a meeting and off we went to Paris! Long story short, the car and price were both right and a couple of weeks later the big Ford Zodiac was in the Netherlands. The next six months my father and a good friend worked hours to get the Zodiac in good driving shape. After these months the car had been given a respray, brake overhaul and all liquids where replaced. So at last my father could enjoy his childhood dream!